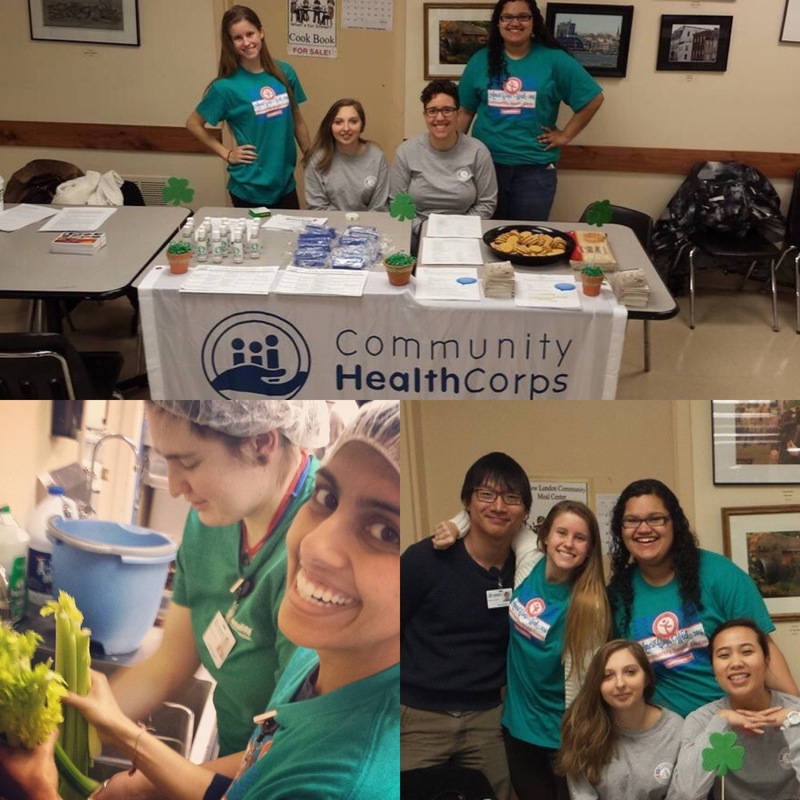 For the second day of AmeriCorps Week the CHC HealthCorps members and I took a trip down to shore where we spent the day to volunteering at the New London Community Meal Center. The Meal center was established in 1985 and was created to provide nutritious meals to the food insecure residents of the New London County. In one year the New London Meal Center provides about 73,518 meals to 35,000 people. The Meal Center has very few employees so volunteers are always a vital part of being able to provide this service to so many people. We spent our day split up into two teams, the kitchen team and the dining room team. The kitchen group prepared a great meal of hamburgers, soup and French fries. This group said that they had a really fun time bonding with each other. I was part of the dining room team and it was great to look back at the kitchen and see the occasional dancing from the meal center staff. They looked like they were having a great time! The dining room group set up near the entrance to the Meal Center and performed outreach on 3 topics. The three topics were Family Health History, Career Services and WYA (Wherever You Are – Healthcare for the Homeless program). We really enjoyed talking to the residents and listening to the stories that they had to tell. Today was an amazing opportunity to visit and help another CHC Community! I cannot wait for the next New London service project!